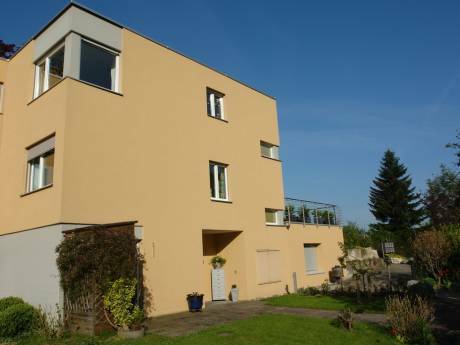 We offer a large home with a lovely garden, balcony and living room overlooking the lake of Zurich. We are a family with 2 kids (age 2 and 4). We have experienced one home exchange in the U.S.A. and loved it. Our small town is located in the countryside but only 25 minutes drive from downtown Zurich, 10 min. from Rapperswil, 5 min. from Einsiedeln. 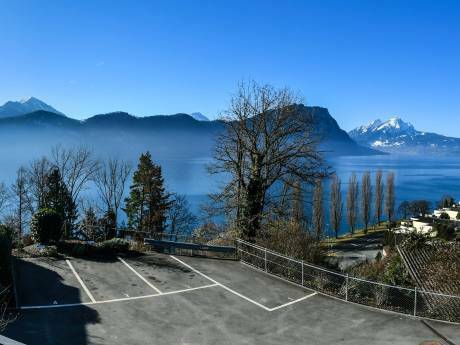 The house offers views to the lake of Zurich (north) and the mountains (south). Many outdoor activities are at your doorstep: mountain biking, swimming, hiking, rollerblading.